He hasn't experienced his own milestone moment yet, but it's definitely on the radar for respected veteran Chris Phillips. It was April 6, 2010 when Ottawa captain Daniel Alfredsson was feted for playing in his 1,000th regular season NHL game, a milestone which is recognized by the NHLPA. Phillips, who is zeroing in on the same mark, remembers vividly what he was thinking about the evening Alfredsson's feat was celebrated. The 33-year-old Phillips is drawing ever closer himself to receiving the same fanfare. Prior to the start of the 2011-12 campaign, the first overall selection in the 1996 NHL Entry Draft, had appeared in 945 regular season games. He has only missed one game in the past five seasons. The former Western Hockey League standout, who won the Jim Piggott Memorial Trophy (Rookie of the Year) in 1996 and the Bill Hunter Memorial Trophy (Top Defenceman) in 1997, is hoping he still has plenty of more games to play. Phillips, who played for Prince Albert and Lethbridge during his WHL tenure, has fond recollections of his early days in Ottawa. Phillips also points to former teammate Wade Redden as a key figure in his on and off ice development. 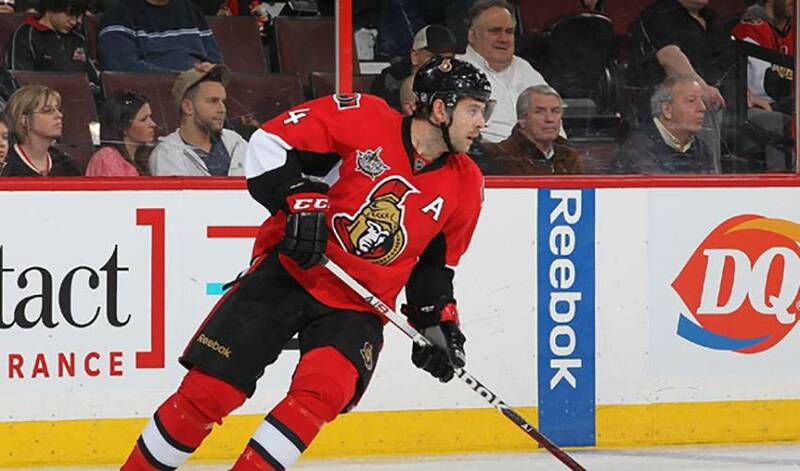 It's something Phillips has been able to use in his role as alternate captain, as the Senators, who are viewed as an outsider to nab an Eastern Conference playoff spot, look to surprise their rivals in 2011-12. Despite their longshot status, Phillips, who played in Sweden with Brynas during the 2004-05 NHL lockout, and his teammates are looking to give their fans something to cheer about. There is one game in particular, though, that Phillips is looking forward to skating in.